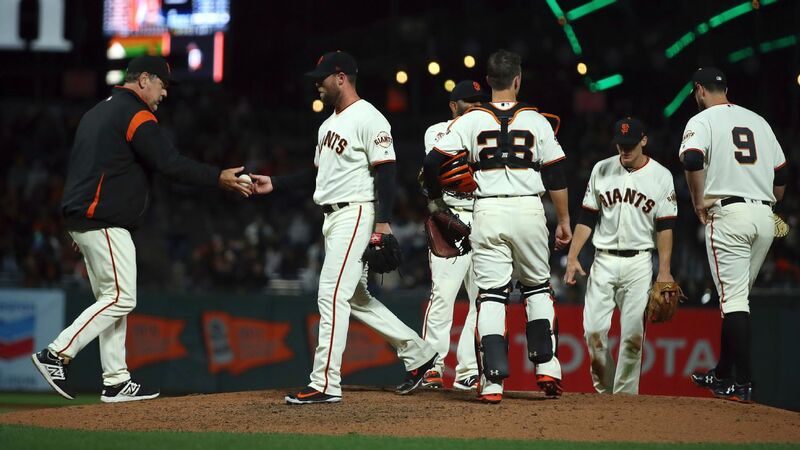 San Francisco Giants closer Hunter Strickland will be sidelined six to eight weeks after he fractured his right hand while punching a door Monday night following a blown save. Manager Bruce Bochy told reporters that Strickland had surgery Tuesday on the pinkie finger of his right hand. "The closer has got to have emotional control," Bochy said. "We all get frustrated and that's a tough loss and a gut-wrenching loss. I'm sure he felt full responsibility. He didn't think before it happened. I'm thoroughly disappointed, trust me. I'm crushed, because this guy has grown as a pitcher and a person. I know Hunter cares deeply." Strickland posted a lengthy message to Instagram on Tuesday night in which he apologized to "my family, my teammates, my coaches, this organization, and our fan base" and vowed to "learn from this." With the Giants leading the Marlins 4-2 at home on Monday, Strickland came on for the top of the ninth inning and recorded just one out. He allowed two walks, a double, two singles and three runs. The Giants went on to lose 5-4. It was Strickland's fourth blown save this season. He is 3-3 with 13 saves and a 2.84 ERA overall in 2018. Bochy said after Tuesday night's game that Sam Dyson would be his regular closer. Dyson came in to relieve Will Smith and record the final two outs on a double play for his second saveas the Giants came away with a 6-3 win over Miami. The manager doesn't consider Mark Melancon -- signed to a $62 million, four-year deal before last season to work the ninth -- ready for the role after a series of injuries. "Your closer is somebody who has to be resilient, and I'm not sure that Mark's at that stage right now," Bochy said before Tuesday's game. The Giants have been hit hard by injuries this season. Ace Madison Bumgarner broke the pinkie finger on his left hand when he was hit by a line drive in spring training. Evan Longoria also broke a bone in his finger last week when he was hit by a pitch. And Brandon Belt has been out with an appendectomy. Strickland made headlines last season when he hit Washington Nationals slugger Bryce Harper on the hip with a 98 mph fastball, which sparked a benches-clearing incident. It was the first time Strickland had faced Harper since Harper hit two home runs off of him in the 2014 National League Division Series. Strickland was ultimately suspended six games by Major League Baseball for his role in the brawl, which ended with him being dragged to the Giants' dugout by several of his teammates. Bochy said Strickland had shown maturity and made progress by keeping his emotions in check since last year's fight with Harper. "I think he [punched the door] when he came out of the game, but we didn't know about it," Bochy said. "I didn't know about it until I got home." How does Strickland breaking hand affect Giants? 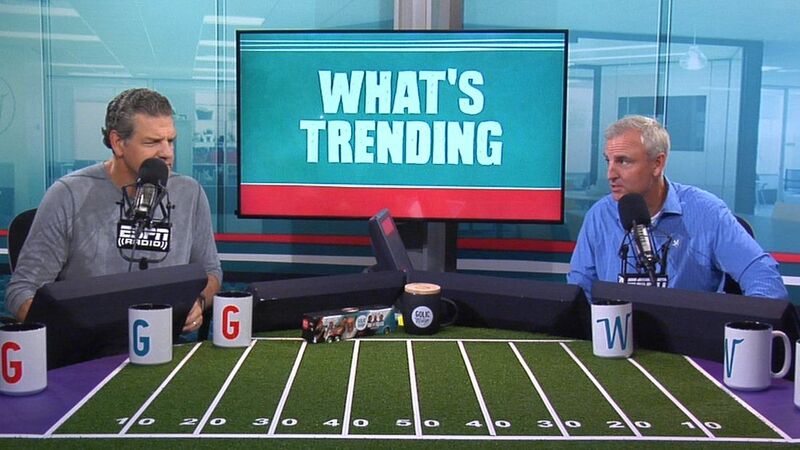 Trey Wingo questions if San Francisco will become sellers at the trade deadline after losing closer Hunter Strickland who broke his hand punching a door.